The Boreal Satori is built on a highly downturned and asymmetric last with a soft midsole for a high level of sensitivity and technical ability. 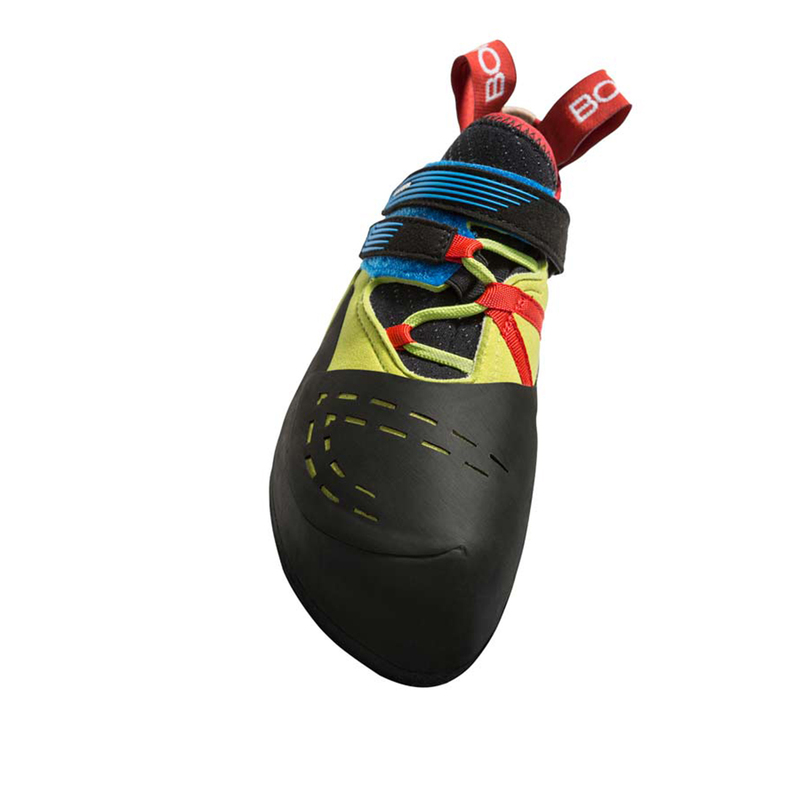 This aggressive design makes for a shoe that will work best on overhanging boulder problems where it will provide precision on micro holds and flexibility for toe-hooks and smears. 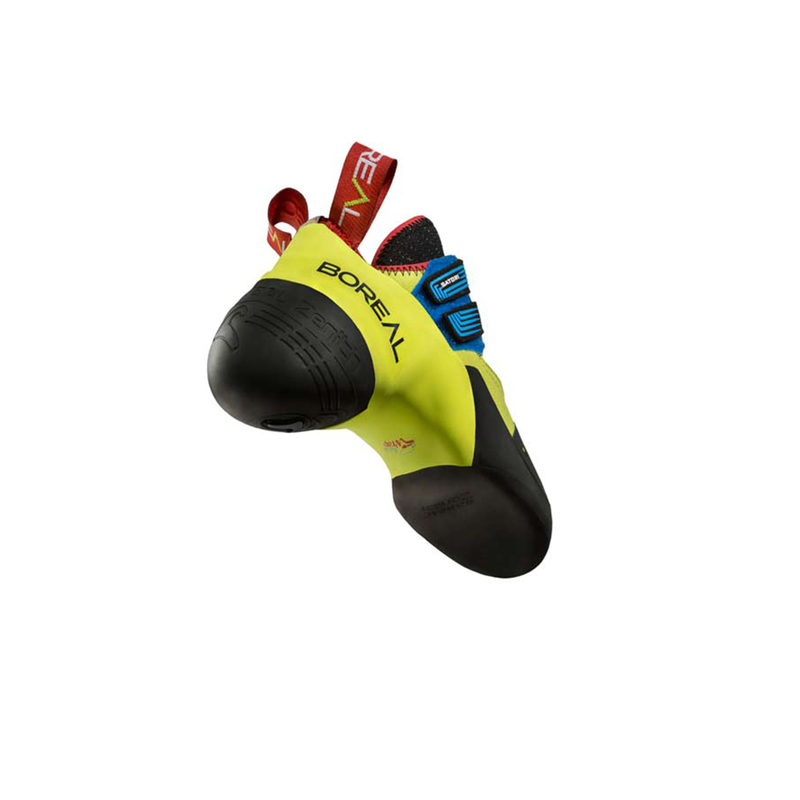 Best suited to hard boulder problems and indoor climbing. 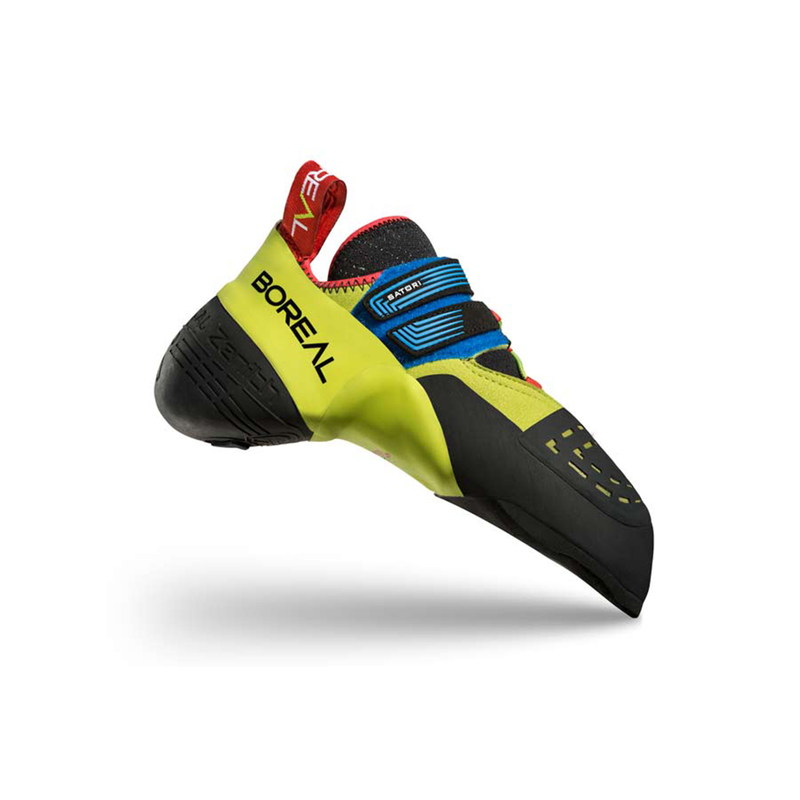 The most aggressivily designed Boreal shoe I've climbed in over 20+ years beginning with the Lasers. Warning! This particular Boreal model is small in sizes. I've Always climbed in Boreal Size 7 but in Satori I need 8 so go up one size.